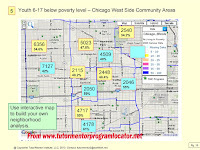 In 2011 I produced a PDF report showing the number of Chicago youth, age 6-17, who were living in high poverty households in each community area. 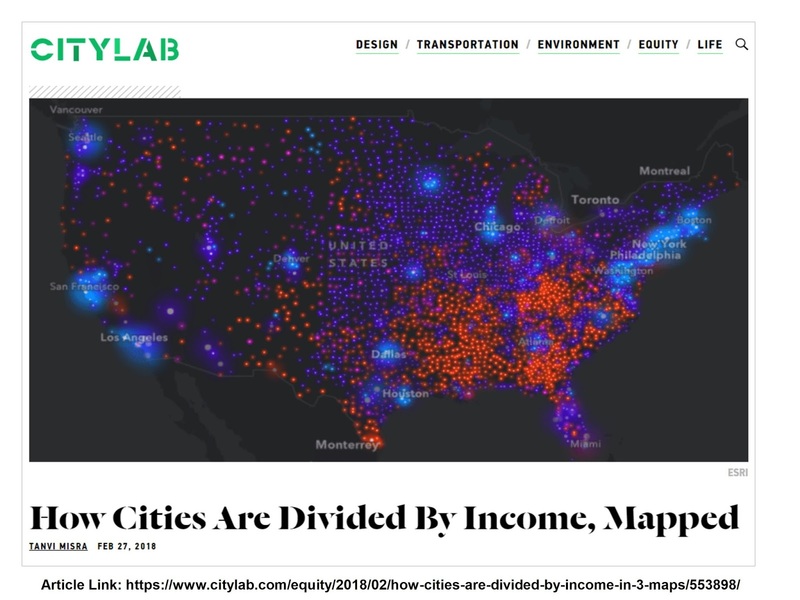 This week I've received new information from the Social Impact Research Center at the Heartland Alliance, and have updated the presentation to show current numbers. 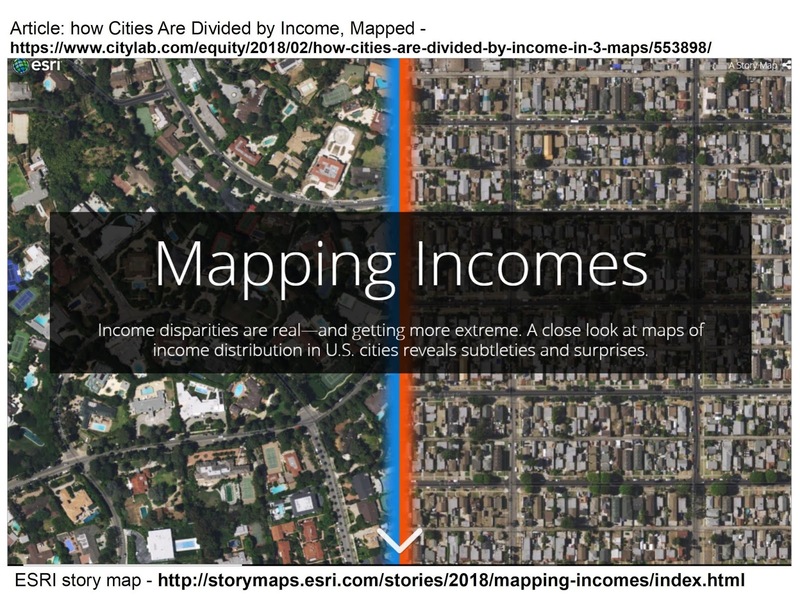 The map shown above is from the new report. 2011 numbers are shown in yellow and 2018 number in blue. 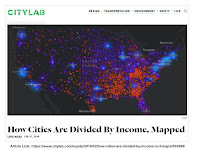 This map shows the far west side where the number of high poverty youth in the Austin neighborhood has increased while in areas close to the Chicago LOOP the number has decreased. 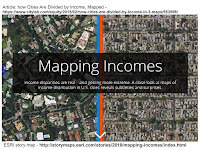 My goal is that people form study groups, planning groups and support groups in each community area and they use this data in an on-going effort to help build and sustain well-organized, non-school, volunteer-based tutor, mentor and learning programs in areas with a large number of kids living in poverty. I'd be happy to spend time with such groups, helping them understand the data and the resources available to them on the Tutor/Mentor Connection and Tutor/Mentor Institute, LLC web sites. In the report I indicated that the maps came from the Chicago Tutor/Mentor Program Locator which was created in 2008-09. I also said that I've not been able to update this since 2013 due to lack of funds and technology support. 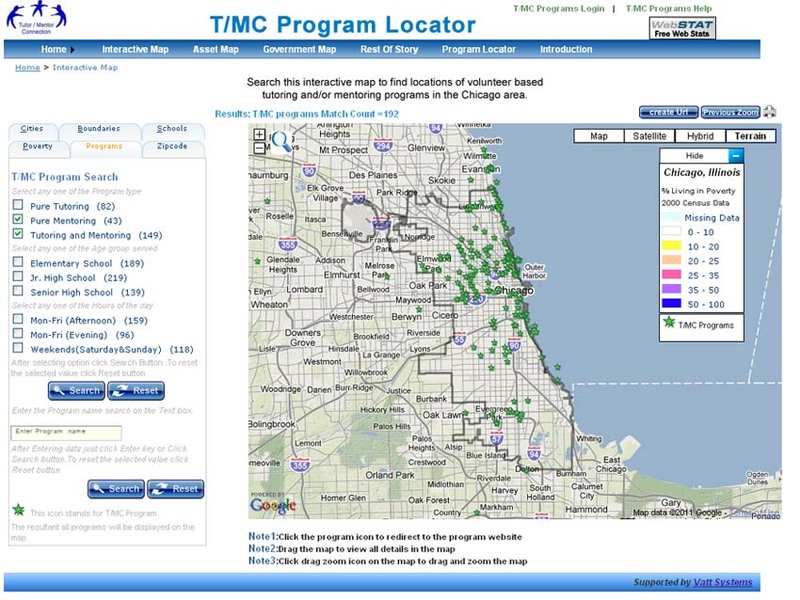 The Program Locator still works and serves as a demonstration of the type of mapping portal needed to help people find existing tutor/mentor programs, understand the availability of such programs in different community areas, and understand who some of the assets are who should be supporting youth in different community areas because they have facilities in those areas. If you'd like to help, or want to meet with me, introduce yourself on Twitter, LinkedIN or Facebook or email me at tutormentor 2 at earthlink dot net.